The partnership further establishes both Gold's Gym's and Gymshark's commitment to helping people achieve their potential through fitness. 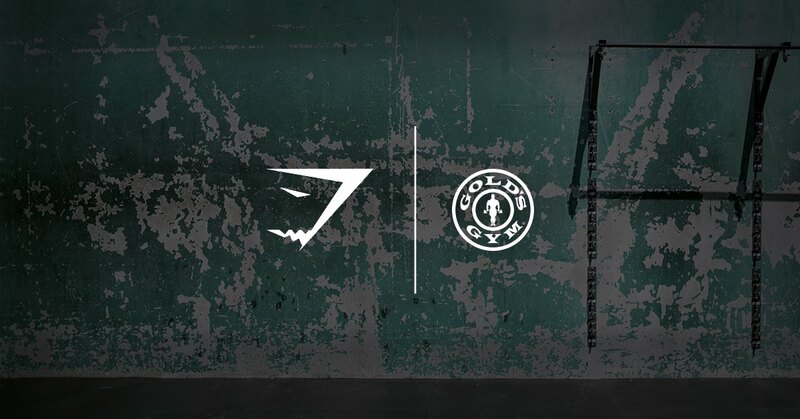 DALLAS, May 8, 2018 /PRNewswire/ — The world’s trusted fitness authority, Gold’s Gym, and leading fitness apparel brand Gymshark have collaborated to create a limited-edition performance wear collection, Gymshark x Gold’s Gym, available beginning June 1. The partnership further establishes both Gold’s Gym’s and Gymshark’s commitment to helping people achieve their potential through fitness. Gymshark x Gold’s Gym will be available on Gymshark.com for a limited time. The line of performance wear for men and women is designed to embody Gold’s Gym’s heritage with Gymshark’s contemporary style. The collection channels the Gold’s Gym aesthetic through a unique color palette and tonal logo, with each on-trend piece designed to enhance and accentuate the body. To launch the new line, Gymshark and Gold’s Gym will host a pop-up event at the iconic Gold’s Gym Venice at 360 Hampton Drive in Venice, California, on Saturday, May 26, from 10 a.m. to 6 p.m. The pop-up event will be open to the public and will allow guests to purchase the collection before it goes on sale online. More information is available on the event page. With core values of fitness, wellness and a health-focused lifestyle, the collaboration is a natural fit for Gold’s Gym and Gymshark. Both companies have grown from humble beginnings, with Gold’s Gym first opening as a small concrete gym in Venice, California, and Gymshark starting as a small handmade bodybuilding apparel business operating out of a garage in the U.K.
Gold’s Gym has been the world’s trusted fitness authority since 1965. From its beginning as a small gym in Venice, California, Gold’s Gym has grown into a global icon with more than 700 locations serving 3 million people across six continents each day. Featuring personalized transformation plans, state-of-the-art equipment, certified personal trainers, a diverse group exercise program and a supportive, motivating environment, Gold’s Gym delivers the most dynamic fitness experience in the industry. The Gold’s Gym experience recently expanded to include BOOTCAMP group training as well as GOLD’S STUDIO® – which gives members access to boutique-style classes like GOLD’S FIT®, GOLD’S BURN™ and GOLD’S CYCLE™, all under the same roof – along with GOLD’S AMP™, the first digital personal training app from a brick-and-mortar gym. More than a gym, Gold’s Gym combines coaching, community and more than 50 years of fitness expertise to help people around the world achieve their potential through fitness. For more information, visit www.goldsgym.com or follow Gold’s Gym on Facebook, Instagram and Twitter. Gymshark is one of the U.K.’s fastest-growing brands. Launched five years ago by Ben Francis, it is now generating annual sales of circa £100 million with an unprecedented growth from £42m in the previous financial year. The fitness apparel brand is renowned for its connection with its 16- to 25-year-old audience through innovative campaigns, inspiring events and a social community of 5+ million. Gymshark has dedicated itself to creating innovative and inspirational fitness wear with the end goal of becoming a household name whilst staying true to its core values. Gymshark has seen a global demand, allowing it to open 11 international online stores with the goal of 25+ by 2020.